With a magnetic stage presence and fantastic mixing ability, Eddie Halliwell is widely regarded as one of dance music’s best technical DJs, crossing the musical spectrum with lightning cuts, layers of effects and slick scratches. Now, Eddie harnesses the energy of his sets into the next instalment of the ‘Toolroom Knights’ album series, featuring two exclusive offerings from the man himself and a host of big hitters including Mark Knight, Eric Prydz, Calvin Harris, Nicky Romero, Tommy Trash and Hard Rock Sofa. Eddie’s mix is a testimony to his DJ style, manipulating the music with his trademark ED-IT’s by creating unique cuts from original tracks and moulding them into entirely new creations. Two of the biggest highlights from the album are Eddie’s exclusive productions, the first being ‘Rock This Place’ and the other, his remix of Tiesto & Mark Knight’s ‘Beautiful World’. The mix has a diverse selection that includes the progressive sounds of Dimitri Vegas & Like Mike, Tim Mason and Mark Knight’s remix of ‘You’ve Got The Love’, whilst dropping anthems such as Michael Woods’ ‘Full Access’ and Nicky Romero’s ‘Generation 303’. 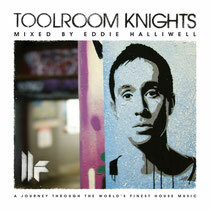 Combine this with some slick scratching skills, sample trickery and fast paced cuts, ‘Toolroom Knights Mixed By Eddie Halliwell’ is essential listening for those that like it full of fire! Out 23rd April. 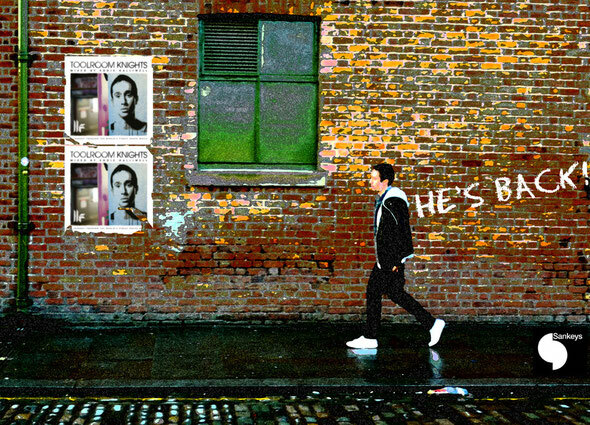 Look out for the album launch party at Sankeys, Manchester on Friday 1st June. Details below.